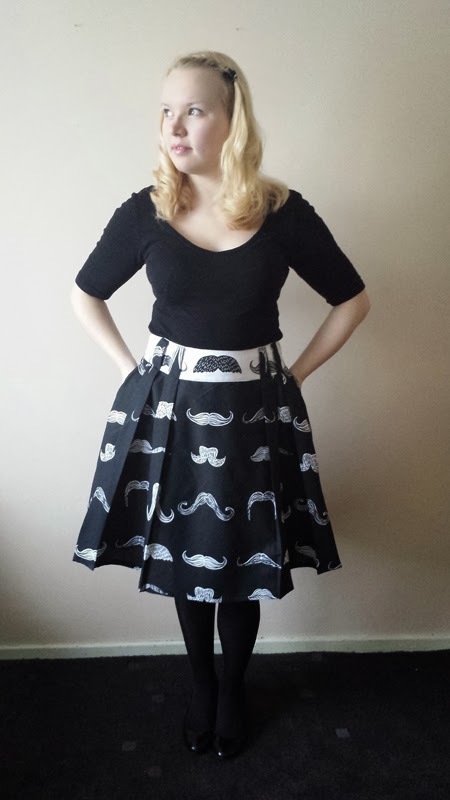 I'd like to show you all the beautiful skirts my pattern testers made when trying out the pattern. What stunned me were their ideas, fabric choices, minor pattern alterations, styling and additional trims they used. I have to admit, some of their ideas have really blown me away, surprised me, gave me some new ideas or inspired me to copy them. I've always been fascinated by how a single pattern can give endless different garments, and that was exactly what happened with the Zlata skirt during the pattern testing. Maria was the first to finish the skirt during the testing. She used a quilting cotton and the Vew A, which she slightly altered by shortening the skirt panels. She says she didn't have to make any alterations on the pattern, which I'm very glad to hear. 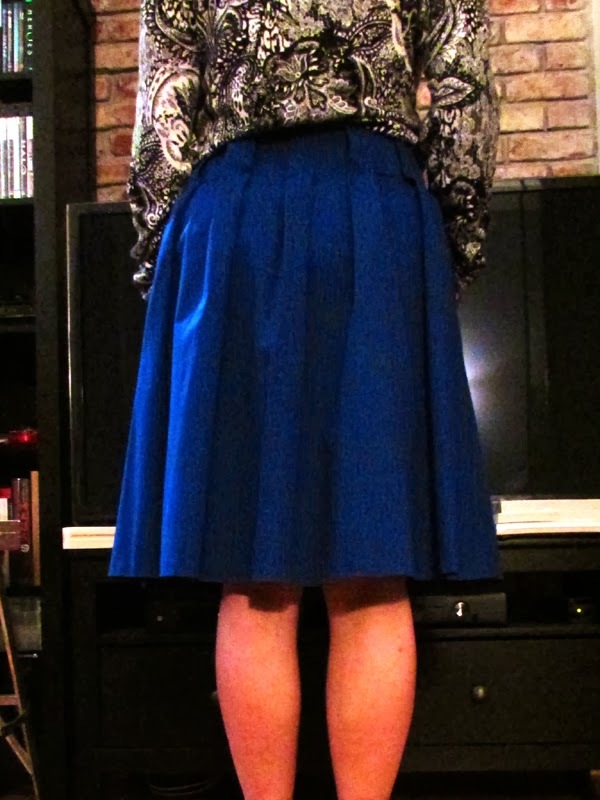 She trimmed the skirt by inserting a piping along the waistline and pockets. 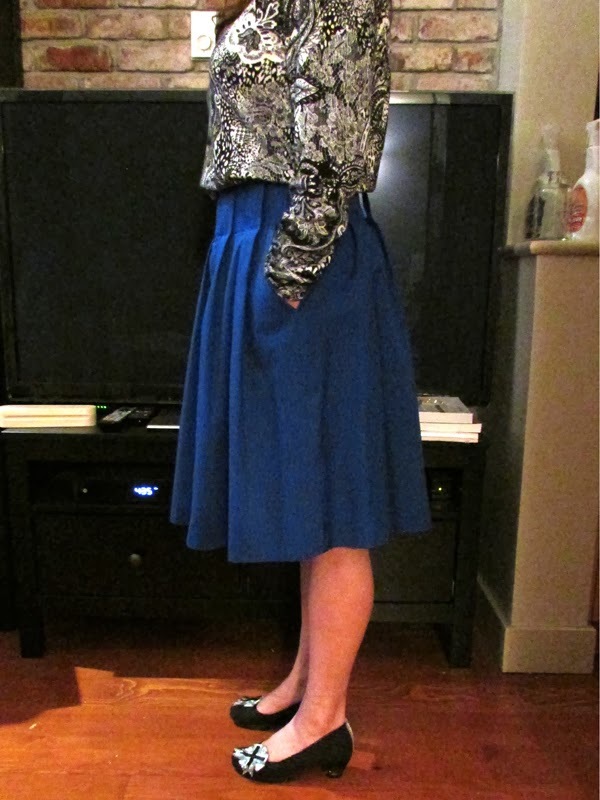 She says she liked the skirt but disliked all the pleating process, though the final result is worth all the effort. Read more on her experience on her blog (that is, if you know Spanish, since Maria is from Mayorca - I envy her for that!). Holly made the view A using a cotton satin. She pressed out the pleats as she liked the soft flow the skirt got this way. To be honest, I've never thought of this until I saw her variation, and I really like the effect. 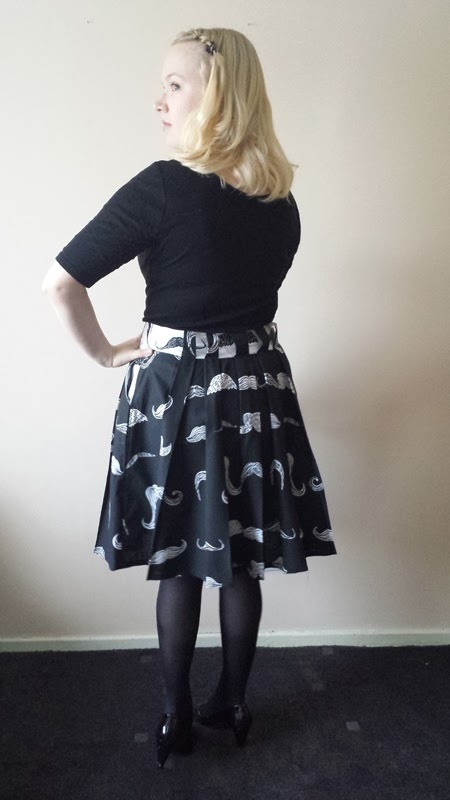 Hannah also made the view A, using the beading with moustache print in two contrasting colors. She removed the center front pleat as she didn't want to break the print with the pleat folds along the CF. I really like her idea! What I'd like to point out are her comments regarding the pattern layout on the pattern sheet - she says she liked how all the variations were placed on the same pattern sheet but not in a confusing way, which makes the pattern very clear and easy to use. Hannah also thought I should offer the pattern in plus sizes. I have to admit I didn't think much of that before Hannah said it. 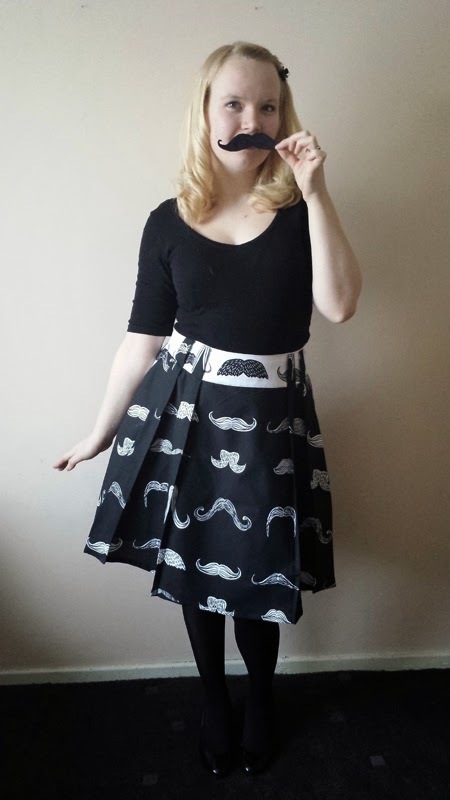 I also think the skirt would look great on larger women, however I am not sure I would be able to draft the pattern in a plus size - I've never had an opportunity to draft patterns and sew for larger sizes and I don't think I have enough relevant experience in this area to be able to comfortably pull it off. On the other side, I don't discard the possibility to offer some of the patterns in plus sizes at some point. 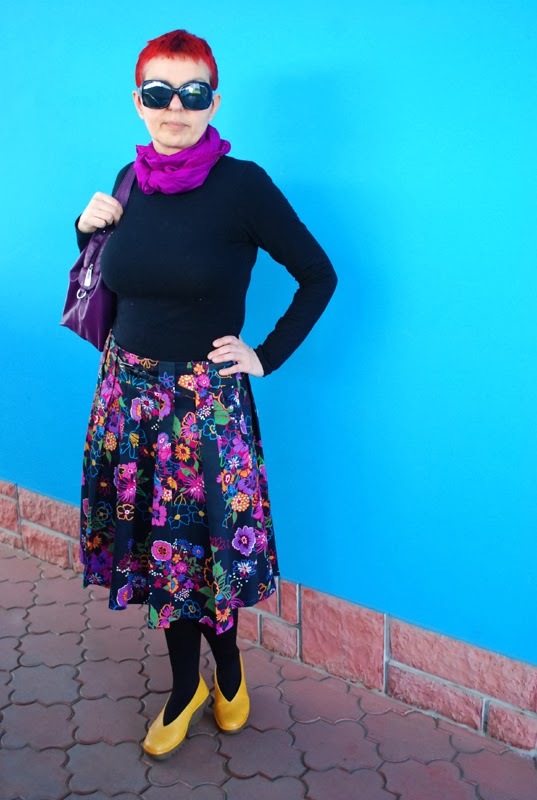 Read more about Hanna's experience with the pattern on her blog Made With Hugs And Kisses. 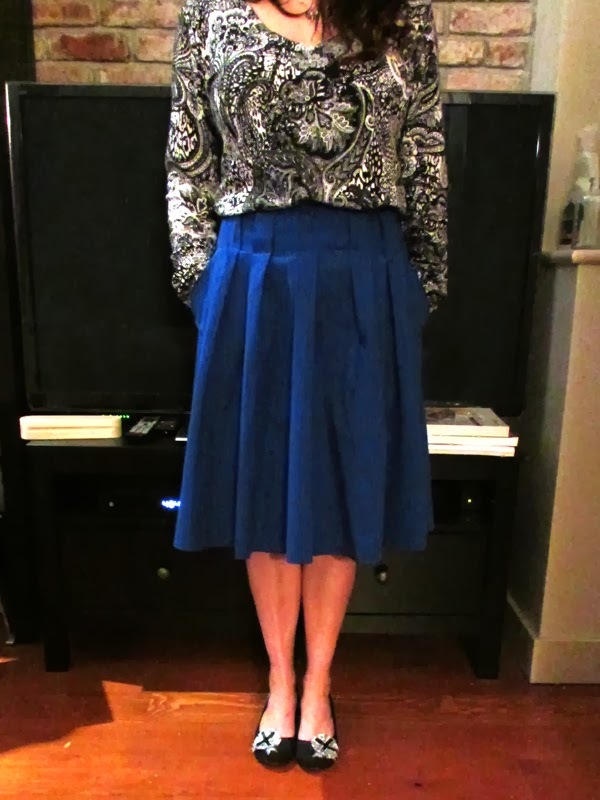 I am by far most proud of Tanja out of all the testers, as this is the first skirt she has ever made! 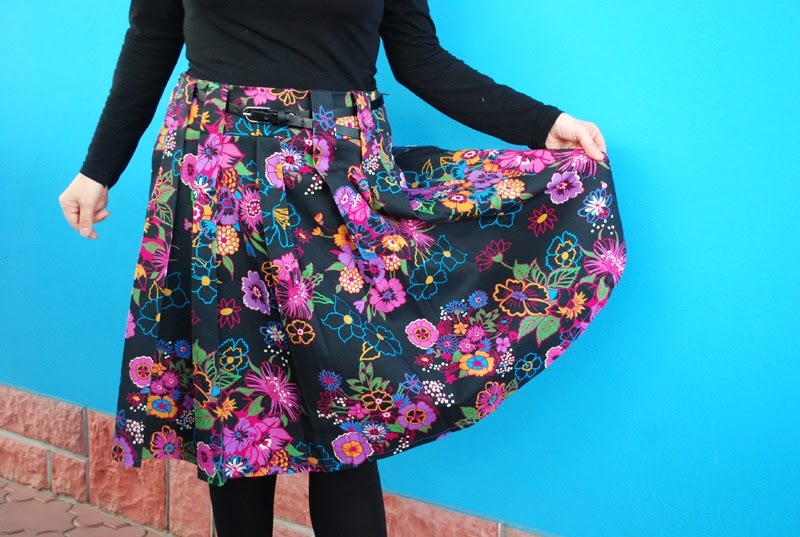 The skirt is intended for an intermediate skill level, therefore it's not too difficult but it's not something you should start your sewing experience with either. However, Tanja did an excellent job and made this cheerful and colorful skirt. Isn't it gorgeous? Tanja was one of the testers who reminded me the sewing instructions were sparse and missed some descriptions regarding sewing in the zipper and lining. I added these descriptions after seeing her comment. Read more about Tanja's experience on her blog Bensedin Art (note, the blog is in Serbian). Oh, I'm looking forward to seeing it! Love the fabric you chose.